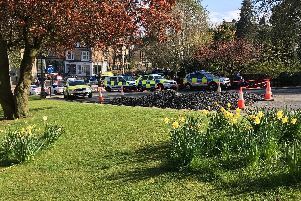 The worker who died on Wednesday night after an indident at the sewage works in Tadcaster has now been identified. Mick Jennings, 55, who was a Mechanical Engineer for Yorkshire Water has died after suffering 90 per cent burns in an incident at the plant on Oxton Lane, Tadcaste. Mr Jennings was rescued from the sewage works on Monday afternoon when a fire broke out and was later airlifted to Pinderfield Hospital in Wakefield where he remained in critical condition. It is currently unclear if the burns that Mr Jennings sustained were a result of the fire or chemicals at the plant. Another man who was rescued from the fire was treated at the scene for minor injuries. North Yorkshire Police released a statement that said his family had been informed of his passing but Yorkshire Water said the family were asking for privacy at this time. The North Yorkshire Fire and Rescue team sent two engines to the scene at around 12pm and remained there with police and the heavy rescue unit from Tadcaster. A joint investigation with the police, the fire service and the Health and Safety Executive is ongoing in order to establish the cause of the incident.